Gummicube's App Store Optimization service is a complete solution for one flat monthly fee per app. App Store Optimization is like SEO for Apps. It improves app distribution by increasing Search Ranking for apps in an App Store. Start Optimizing Your App Today! On-Page (Content) Optimization is a key factor in App Store Optimization success. How you select keywords and describe your app effects your search ranking and visibility. Gummicube has been in the App Store Optimization business since 2011. We have more data and experience working inside the App Store than anybody else. Work with us to make your app grow! Managing this correctly can help increase your app downloads. Doing this incorrectly can cause your app to be buried! App Store Optimization is the best user acquisition channel! Focusing on search ranking within the App Store can help you gain new quality users cost effectively. Gummicube has exclusive data and algorithms from 1000's of campaigns to help your App Store Optimization. Tell users about your app. Your App Title tells the user in a few seconds what you app does. 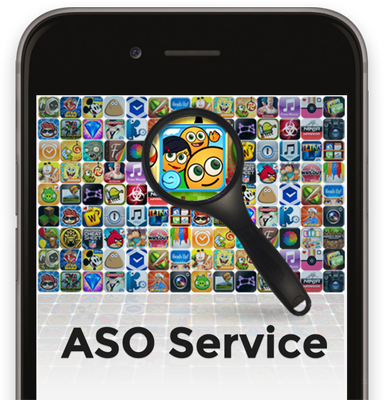 This is the most important piece of ASO; if a user can't tell what your app does by reading your title, they will move on. You are given 255 characters for your app's title. Use the space provided to clearly describe to the user what it does. We have seen developers who simply "keyword stuffed" and created titles that are too long and don't make sense. Titles that are too spammy turn users off. What are users looking for? You are only allowed 100 characters. Picking the best keywords requires understanding your market, your competitors and popular search phrases. These all change seasonally and staying on top of the keyword selection for an app is a full time job. 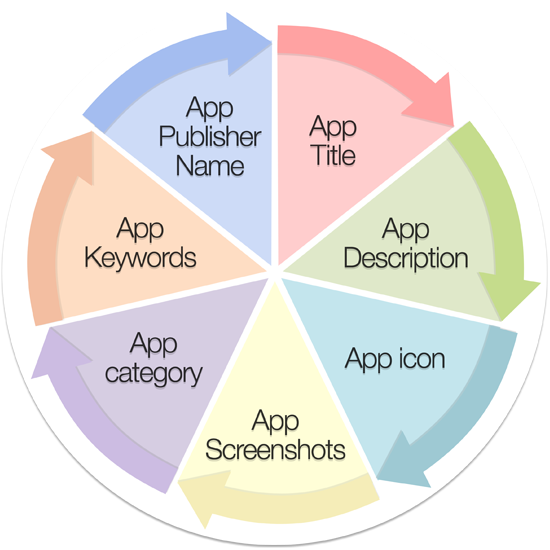 We use proprietary data from inside the App Store to help pick keywords. Don't use keywords that are too generic or too long. What would the average user type in? Keyword planners are great tools – but remember they use data from Google Web Search and not App Store Search. We incorporate real data from inside the App Store in our process. What are users saying about your app? Reviews and Ratings are critical to App Store Optimization. If your app has correct on-page optimization, we estimate that 30% or more of your search ranking is based on this factor alone. Gummicube will analyze your reviews and leverage them to bolster your App Store search rankings. With our DATACUBE software we can quickly understand how users view your app across releases and gain insight to key themes and narratives from the user feedback. Click here to learn more about Gnome Escape, our service to help increase buzz for your app. Describe everything about your app. Getting a user to view your description is like getting a user to visit your website. At this point users are curious and are considering if they should download your app. This is a key optimization factor. You will need to use this area to sell your app on all its great features and set the correct expectations for what the user is downloading. Short-selling yourself is bad, but overselling yourself will cause users to be unhappy which might turn to bad reviews. Use your app description to clearly describe what your app does. You will have about 3-5 seconds to capture a users interest as they glance through the list of apps that they are searching for. Make sure you effectively and creatively express what your app does via your app icon. This is very important and should have lots of thought behind it. Show off your best features. You will need to use screenshots that clearly display your app functionality while highlighting all the best parts of your app. Make sure to use up all space for screen shots with different images. Add some quick text to call what is being displayed if needed. Remember, people judge a book by its cover and a store by what is being displayed in the windows. Users can search by App Publisher name via the App Store. You can use this to include keywords tied to the type of Apps you are creating. Something you might consider is publishing under several trade names of your company that fits the different types of apps you are developing. For example: "Gummicube Puzzle Games" or "Gummicube Financial Reports." Where does your app fit in? Picking both the Primary and Secondary Category for your app is a huge decision and critical to the success of your app. The right category will get you in front of qualified customers - while the wrong category will result in lackluster for your app. There are so many factors to consider when optimizing for App Store search. You could spend all of your time trying to optimize every month – but missing one factor could cost your app. Leave this work to us. We take a full service approach and have the proprietary data, services and experience to make your App Store Optimization successful. Start optimizing your app today!